You'll be £20.00 closer to your next £10.00 credit when you purchase The Reign of Emperor Gallienus. What's this? This is the only fully illustrated military life of the Emperor Publius Licinius Egnatius Gallienus (253-268). 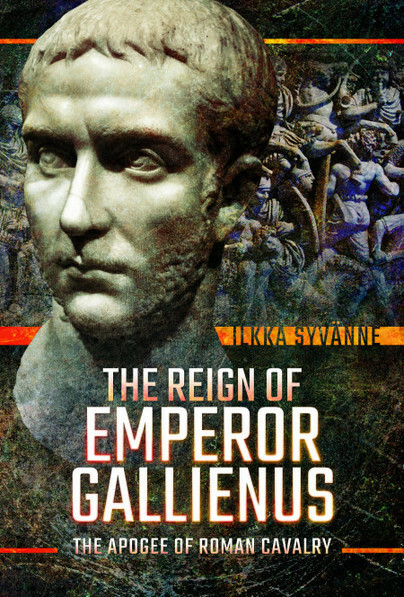 Considered the most blatantly military man of all of the soldier emperors of the third century, Gallienus is the emperor in Harry Sidebottom’s bestselling Warrior of Rome novels. Gallienus faced more simultaneous usurpations and foreign invasions than any other emperor, but somehow he managed to survive. Dr. Ilkka Syvanne explains how this was possible. It was largely thanks to the untiring efforts of Gallienus that the Roman Empire survived for another 1,200 years. Gallienus was a notorious libertarian, womanizer, and cross-dresser, but he was also a fearless warrior, duellist and general all at the same time. This monograph explains why he was loved by the soldiers,yet so intensely hated by some officers that they killed him in a conspiracy. The year 2018 is the 1,800th anniversary of Gallienus’ date of birth and the 1,750th anniversary of his date of death. The Reign of Gallienus celebrates the life and times of this great man.